Bravado Gaming Loses Team. Project Destiny is Over. The last couple of days were shocking for Bravado fans. After failure at the Americas Minor, four players, including the coach left Bravado to join Denial Esports. Therefore, Bravado’s enthusiastic “Project Destiny” came to the end. Sad news struck Bravado’s community yesterday. Namely, almost the whole Bravado squad decided to accept an offer from Denial Esports, except their captain Detrony. Therefore, Sonic, ELUSIVE, JT, Fadey, and their coach T.C is going to compete under Denial’s logo. This is really unfortunate for Bravado, considering they started to play better. Bravado struggled to find good form throughout last year. The DreamHack Open Winter was the event of their rise. They managed to reach the title decider match but weren’t good enough to win their first Major outside Africa. 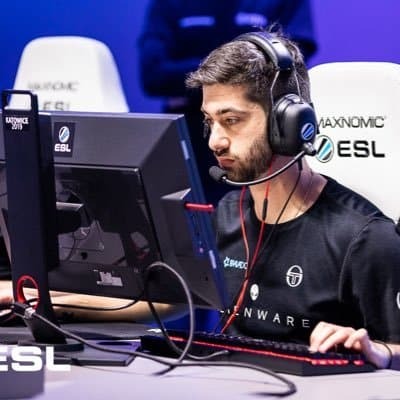 The team kept their good form and won two Minors (WESG 2018 South Africa, DreamHack Mumbai Invitational). Then, Bravado reached the Americas Katowice Minor through a Qualifier. Unfortunately, they failed to get to the first Premier of the year, but it wasn’t surprising considering the tough competition. Still, it’s unfortunate that Bravado fell apart in such a promising period. Sonic and JT said their farewells on their twitter page. Sonic reflected on what Bravado managed to achieve in the last couple of years, and he thinks of Bravado as of family. “We’re sad to announce that the time has come for us to end our journey with Bravado Gaming. A year ago we would have never imagined that we would have achieved so much under the Bravado Gaming Banner. On the other hand, JT particularly expressed his gratitude to Detrony who, according to JT’s words, was like his older brother. Detrony also talked about the current situation on his Twitter account. He said Denial Esports offered him a contract, too. As he says, everyone around him, including his family and girlfriend, encouraged him to accept the offer, but he didn’t want to. He proved his loyalty and stayed on the team he has been playing for his whole professional career. Unfortunately, these changes mean that Project Destiny came to the end. Project Destiny is something that Bravado Gaming was planning to introduce for a long time. Finally, they managed to realize that project with a help of their partners at ALIENWARE and Intel. Namely, the goal of Project Destiny is to make Esports much more popular and spread it South Africa (since the team originates from S.A). CS:GO fans vknow very well that Esports is undeveloped in South Africa. As a result, it’s very hard for talented players to make a breakthrough. Therefore, Bravado decided to make one risky and potentially profitable move. They decided to move to the US and start playing in NA tournaments. They wanted to seek an example of SK Gaming who did the same thing. Of course, it wasn’t easy for Bravado to get used to things in the US. First of all, they needed time to adapt to life in the United States. Then, the South African team needed to accept the fact that they are not the strongest team in the region anymore. Unlike in South Africa where they were dominant, competition in the USA was much stronger. As a result, Bravado really struggled to make some notable achievements up to the end of the year. However, the plan was to realize full potential in 2019. Unfortunately, that is not going to be a case. It’s not a secret that Bravado was struggling to keep Project Destiny alive. They had financial problems before all. There were even rumors floating around that Bravado’s players had to pay for flights, accommodations and so on. However, some people from the Bravado board said these rumors are lies. Furthermore, it was evident that Bravado was struggling financially, and they didn’t try to keep that as a secret. Moreover, Bravado decided to start the Indiegogo crowd fund-raising campaign that was supposed to cover most expenses of Bravado’s stay in the USA. The funding process was going pretty well, and Bravado expected they will reach the wanted goal. They had the help of high-profile CS:GO players who were asking the community to help Bravado. In meantime, contracts of Bravado’s players expired and they needed to sign new ones. However, Bravado’s players refused to sign new contracts and they joined Denial Esports instead. It was quite surprising for Bravado’s board considering they informed players that they will have enough money. According to Bravado’s board words, 60% of projected money balance was covered by crowd fund-rise campaign, and the rest was covered by one of their sponsors. Nevertheless, Sonic and company decided to leave Bravado. That instantly implies the end of Project Destiny. Bravado thanked all people who donated money and who was helping Project Destiny. Also, they said that all money will be refunded to donors. 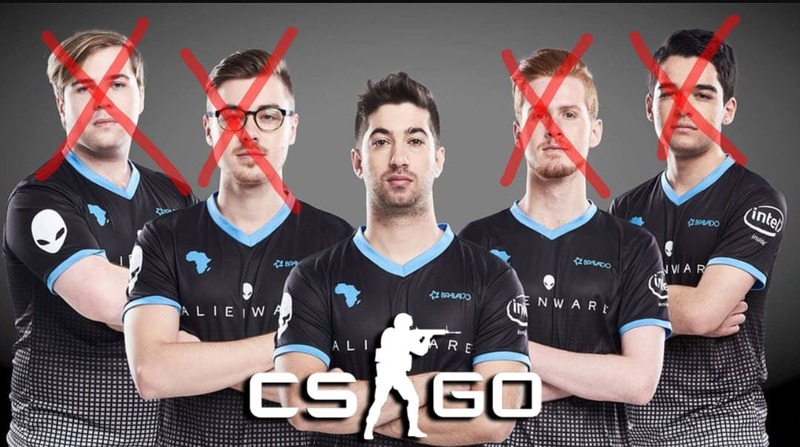 Bravado also pointed out they will continue fighting for the development of Esports in South Africa despite the failure of Project Destiny. Did Bravado’s players betray their team? The most logical question is did Bravado’s players betray Bravado. Why would someone leave the team who had such potential? If Bravado’s endeavor was in vain, then this decision would be completely understandable. No one should feel obliged to play for free. But they all knew Bravado was going to collect enough money. Therefore, their decision is quite disappointing. Most of these players were founded and raised by Bravado. Bravado Gaming invested in them so much and didn’t deserve to get such response. Lastly, that’s how Esports works. Life is not fair so neither is Esports. That’s why we should appreciate players such as Detrony who chose to stay on the team who helped him to be who he is today. That’s loyalty, and it’s really rare to see in today’s competitive market. Therefore, there shouldn’t be any condemnation.